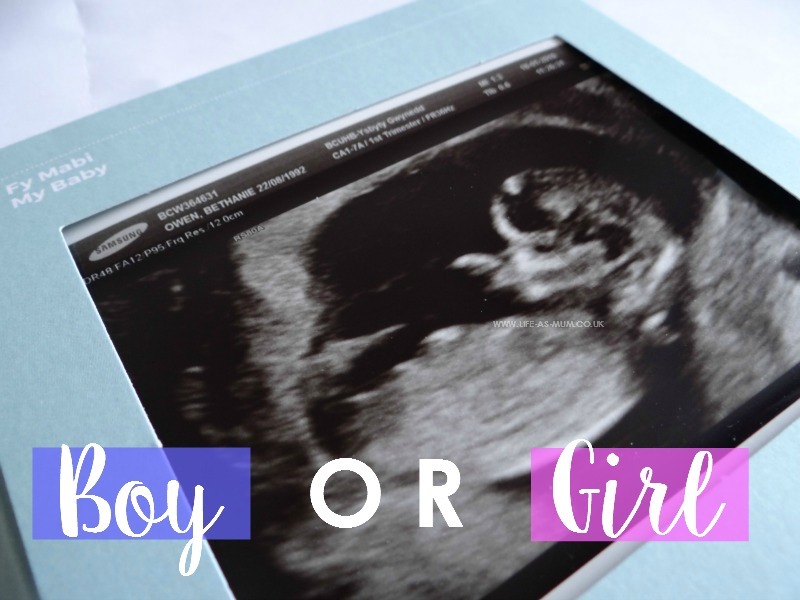 When I announced the exciting news that I am expecting my third baby many people asked me if I wanted a boy or girl, but most people said that a boy would be nice this time. I don't mind people asking me these but it can get annoying when it's the same question off everyone. In all honesty, I would love a boy this time round. I have two amazing and beautiful girls and seeing as Baby is going to be my last, I would love a boy. I have always wanted a baby boy. I am not quite sure why or what the reason to why I have always wanted a baby boy. Don't get me wrong though, I would love the Baby just as much if Baby is a girl. As they say, as long as baby is healthy that is all that matters and that is true. When I go shopping I always seem to go for the boys clothes and for some small reason when I had my second scan at 13 weeks pregnant I had a feeling I that Baby was a boy. There were not hints or clues, just my thoughts. When I was pregnant with Mia, I just knew Mia was a girl but I was convinced that Elliw was a boy. I think I was convinced Elliw was a boy because my pregnancy symptoms were so different to Mia's. Again, this pregnancy has been different to both. I seem to be a lot more tired with this pregnancy. Although I said above about thinking Baby was a boy in the second scan at 13 weeks, I think now and I don't really know what I think. Is Baby a boy or girl? I have booked a gender scan for 15 weeks supposed to be, but my second scan moved the due date one day later so I will be 14 weeks 6 days pregnant when I hopefully find out the gender of Baby, on 31st January and I can not wait. Have you had an early gender scan? No I didn't have a gender scan... just found out at he 20week scan. I had wanted a boy with my first because I was due a year after Taid died but we had a girl. For second pregnancy I had the exact same symptoms as during the first so I gathered I'd have another girl - which I did! Tell you one thing though, whats even more annoying is now I've had 2 girls everyone's asking if we're going to have another so we can try for a boy! Erm nope I'm more than happy with y 2 beautiful healthy girls! I didn't have an early scan this time around. Just a scan at almost 19 weeks. My first is a boy and I was 100% convinced that this baby would be a girl, mainly due to how different my two pregnancies were/are! But low and behold.. It's another boy! It's true when people that every pregnancy is different! I never believed it until I was in the thick of it haha!